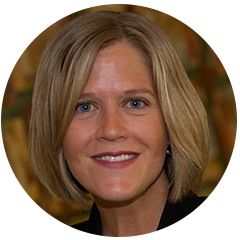 Jill Homan is President of Javelin 19 Investments, a Washington, DC-based real estate investment and development firm with more than $155 million in investments and transactions and a leader in the new Opportunity Zone (“OZ”) area. Ms. Homan has more than fifteen years’ experience in real estate acquisitions, dispositions, development, financing, asset management and leasing totaling over $400 million in total capitalization. Since January, Ms. Homan has worked with legislative and Administration members to develop a comprehensive understanding of the OZ program and advocate for regulations that allow for the real estate industry to participate in the OZ program. She has helped working groups of attorneys and accountants develop real estate deal structures and strategies to fit into the program guidelines, and advocated for issues of importance to the real estate industry. As a fifteen year veteran of real estate development, Ms. Homan is co-developing a $52M multifamily project in an Opportunity Zone and currently raising Opportunity Fund capital. Ms. Homan has applied her knowledge of emerging communities and her expertise in policy and real estate to advise investors and developers on the new OZ program. She has been a featured panelists on numerous past and future OZ programs. Ms. Homan previously worked as vice president for Perseus Realty, where she was responsible for acquisitions, underwriting, and assisting in the capitalization of ongoing projects. She assisted in the formation and structuring of a discretionary GP investment partnership and managed its investor relations. Ms. Homan has extensive political and policy experience, having worked on Capitol Hill as a legislative assistant and press secretary. Currently, she holds elective office and senior party leadership positions. Further, she was one of eight members of the site selection committees for the 2016 and 2020 national conventions for a major political party. Ms. Homan earned a Master of Business Administration and Master of Public Policy degrees from Duke University, with a focus on finance and authoring a thesis on urban revitalization. She is LEED® accredited professional (Leadership in Energy and Environmental Design Accredited Professional) and a member of Commercial Real Estate Women DC (CREW DC). She has been a featured speaker and received recognition at events with DCBIA, CREW DC, Bisnow, and DCA Live. Ms. Homan serves on several non-profit boards, including the Board of Visitors for Duke University’s School of Public Policy, and co-chairs the Duke University’s alumni organization in the metro Washington, DC region. She resides in Washington, DC.